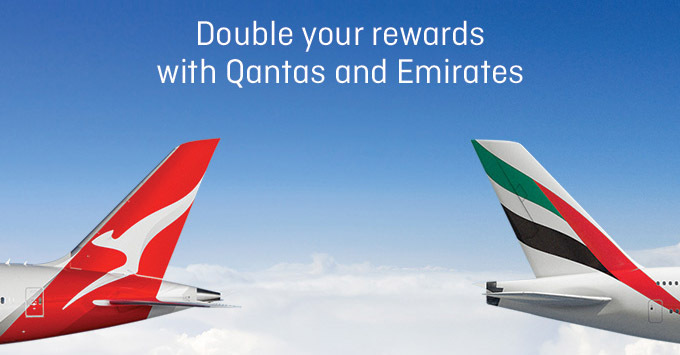 Qantas and Emirates have launched complimentary promotions offering double points on new flight bookings made until this Monday 8 April 2019. Qantas is dishing out double Qantas Points on eligible Qantas and Emirates operated flights with a QF flight number worldwide. For residents of Australia or New Zealand, an eligible flight means any domestic or international Qantas or Emirates operated flight with a Qantas (QF) flight number. For residents of other countries, an eligible flight means any domestic or international Qantas operated flight with a QF flight number (i.e. no Emirates codeshares). You must register for the Qantas offer here and book the flight between 12.01am (AEDT) 4 April 2019 and 11.59pm (AEST) 8 April 2019 for travel between 11 April 2019 and 29 February 2020. Emirates is also offering double Skywards Miles when flying on any route within the Emirates and Qantas network. This promotion is only available to residents of Australia and New Zealand who fly on a Qantas or Emirates operated flight with an Emirates (EK) flight number originating from Australia and NZ. You must register for the Emirates offer here and book the flight between 0.00am 4 April 2019 and 11.59pm 8 April 2019 Dubai time for travel to 11.59pm 29 February 2020. You can check out all the offer T&Cs on the airlines’ websites via the links above. This is a great opportunity to boost your points balance if you have a trip in mind. Happy travels! 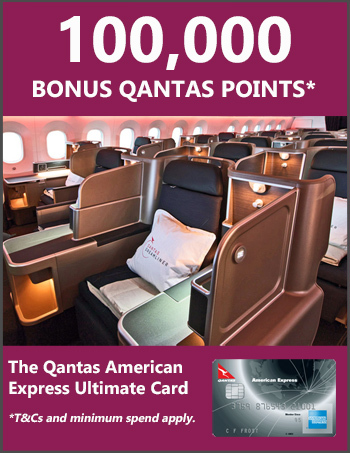 While you’re here, don’t forget we have a HUGE offer of 100,000 bonus Qantas Points with the Qantas American Express Ultimate Card ending soon. This is our favourite Qantas credit card – don’t miss out!